LeBron James did what he does – and skipped town…again. Switching up the NBA’s balance of power by heading to California. And – of course – there are huge, and possibly even ridiculous expectations. Which, is not exactly a huge and unexpected surprise. I would think that most felt he was always going to Los Angeles, but it is still a big thing, and a momentous occasion when the most dominant player in the league jumps teams. It is mind blowing how he can still reshape the NBA and change teams outlooks so much with a simple decision. James represents an unfortunate shift in the NBA where players seem to value personal gains over their true basketball legacy. To a point where NBA rings mean more to the players and their personal resume – than to the franchise, to the city, and really, most importantly, to the fans. And it is very sad. When Durant jumped onto a 73 win team in Golden State – it really changed the view of players today. Kevin Durant’s championships are an absolute joke. Is anyone outside of the Warriors fan-base really impressed with his rings, since he joined them? I don’t think so. The fact that Golden State team could honestly likely beat an all-star team – it is not really their fault – it is the mindset and the culture of the players today. Problem is, also the mindset of many fans, and this generation on the whole. Fans are quick to bang on a player that leaves their team to jump to a team that has a chance to win – and then they’ll make smart remarks about a player losing 50 games a year and never making the playoffs. Then, at the same time fans get on those same players who want to try and get themselves into a better position to win a ring and leave. That is why the “how many rings does a player have” debate has gotten so ridiculously out of control. Rings are what are played for, but they aren’t played for the player – championships are played for the city, the fans, the team. That is something that is far all too often forgotten about. It can feel unfairly lopsided, in some ways – it’s asking one man to bring a fumbling and struggling franchise from 30 wins to 65 wins in a heartbeat. Larry Bird, as a rookie, brought a seriously struggling Celtics team from 29 to 61 wins in one season, Tim Duncan, as a rookie, brought a San Antonio team from 20 wins to 56. And in some ways, James going to the Lakers at his ripe age, and not jumping to an already 65+ win team like Durant did jumping to Golden State – if he brings the Lakers team to 50 wins, it actually will still say a lot for his personal force to change a team and its future. But since the advent of the Heat, back in 2010 – when James jumped ship to join his buddy, DWade – many saw the writing on the wall, players are no longer even close to being loyal to their team. It is all about “my resume” and “my rings.” Is there anything the league can do about it? The Cavaliers had some recent success especially with their 2016 championship, they obviously didn’t want the LeBron experience to end. But, James decided J.R. Smith, Jeff Green, and his #2, Kevin Love weren’t going to help him get another ring. So, LeBron did what LeBron does – as many of this recent immediate gratification generation do – he jumped and joined others in LA to try and get his ring. And having “King James,” many will expect immediate turnaround, and bring 60+ wins – Lakers fans will demand results, even if he is 34 years old and in his 16th season, with thousands of miles of wear and tear on those abused legs. As he wanted to play with other basketball minds, he got Lonzo Ball, who is a smart kid with shot selection and great passing skills. But, Ball’s shooting is still a serious question mark, at a pitiful 36% – but he’s a really exceptional rebounder with 6.9 / game, and a pretty good defender at his position, as well. The Lakers are coming off of another less than 40 wins season in which they won just 35 games, good enough for them to finish in 11th spot in the Western Conference. They bumbled through the season, with one of the youngest rosters in the league, led by a 20 yr old kid, in Brandon Ingram and a young PF in Kyle Kuzma, both of whom were under the age of 23. James knows 21 year old Ingram has some very serious All-Star potential, and the team is loaded beyond what some may see on the court. The Lakers are massively improved from last season to this season. With a very good 2nd scoring option, in Brandon Ingram, there is only one way for lngram to go on this team, and that is up. Kuzma and Ingram have so much untapped potential going into their 2nd and 3rd years, that it gives the Lakers fan-base a lot to be excited about to see them next to James and see what they have. Potentially, Ingram and Kuzma can be looking at a wide open floor and 20+ pt scoring seasons with James leading them. 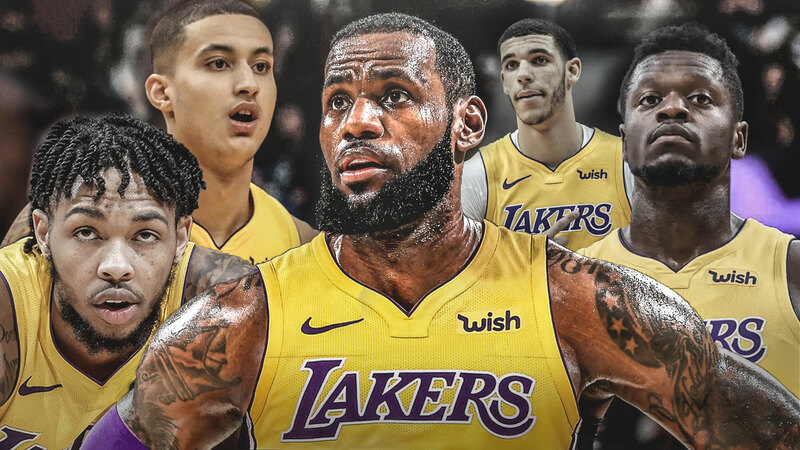 With Ingram and LeBron joining forces in LA – it is going to be hard for other teams in the league who can grab and go on turnovers like they should be able to do. Even at just 21 years old, Ingram can turn a bad pass into a quick bucket, and LeBron has awesome instincts to create turnovers as well, with his quick scoring ability. And if Ball can become somewhat of a threat from mid-range and start hitting better than 36%, and evolves into an above average shooter from the perimeter, teams will still have to pile on LeBron to force those players to beat them outside the paint. And if Ball does that – it is going to be that much better for LA, making teams that much more concerned with dealing with them. But, LeBron will be living in the shadow of Kobe, Shaq, Magic and Kareem, and fans will let him know if he isn’t coming close to their expectations, and will he be able to handle the pressure? He has not always had the best history when pressured by fans. As he has now jumped to his 3rd team in his 16 year career, it will always be questioned for his legacy. LeBron is looked at as a hired assassin, over a team building, loyal NBA player that brings hope and happiness to a team and their fan-base. The expectations for at least one championship will be scrutinized – and will remain until he is done playing. But it is going to be hard. The gap between the Lakers and the Warriors is far too wide, LA can still not play with the Warriors, the Warriors are far and away best team in the NBA, if not the best team to take the floor in NBA history. They have an impossible offensive team, a great rhythm, some amazing ball handlers, and ridiculous shooters. That big body of James along with all the hard miles on his legs won’t keep performing at the top level much longer. The motor and his vicious drives to the rim will eventually slow down, as “father time is undefeated” will come into pay eventually. Taking all of that into consideration, plus the revamped Rockets and Warriors standing in the Lakers way, the odds are strongly against LeBron and LA of winning a title in the next 3 years. I just don’t see it happening. There is a huge amount of pressure on LeBron, and he brought it on himself. He will be judged, sometimes unfairly and sometimes he will be judged with clear eyes. But, as much as I dislike players jumping ship to better their chances, LeBron did actually go to a record wise worse team than where he was with Cleveland – he also jumped to a tougher and more competitive conference in the West. If he can turn the Lakers franchise around and get them 50 wins, bring excitement and playoffs to LA, then that has to mean something. James isn’t everyone’s cup of tea, whether it is his attitude, self promotion, or personality – he is a great ball player, and will be under a lot of pressure, even at 34 years old. When you are called the best in the game – when you play for a team, they expect to be competitive, and, at least, be going to the playoffs. And the Lakers will be, by seasons end. 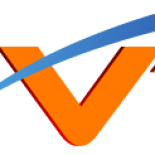 This entry was posted on October 25, 2018 by TonyK in NBA Basketball and tagged LA Lakers, LeBron James, NBA Hoops, VegasTopDogs.